People appreciate the beauty of indoor flowers. Most of the color goes with the winter winds. Flowering cactus plants are great for holidays and maybe extra money. There are a variety of easily maintained houseplants that can be enjoyed in the winter. The Poinsettia is a holiday favorite, but is not easily maintained from year to year. Focus on minimum-care house plants that can be kept from year to year – especially those that can easily produce extra plants for you to share or even sell for some extra cash. Seasonal flowering cactus plants are a pleasant addition to any collection of houseplants. 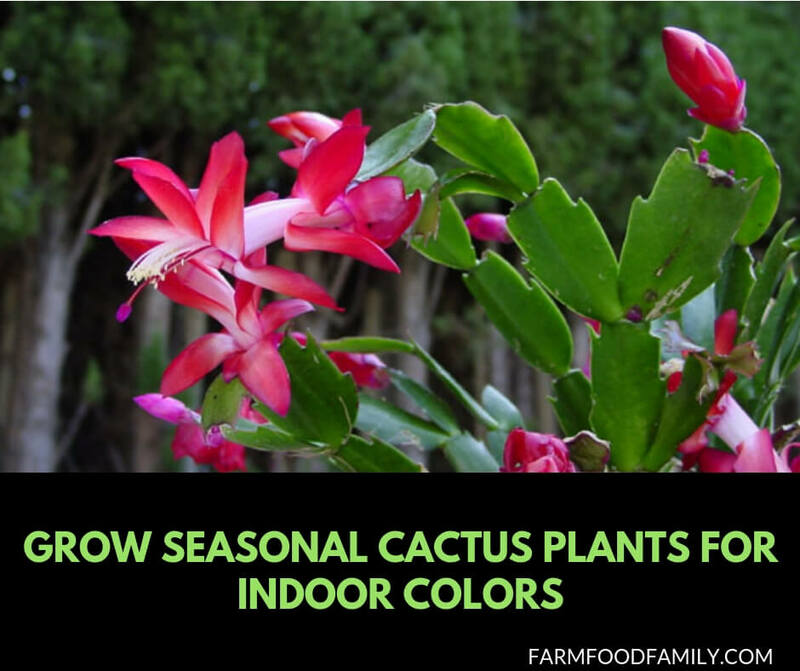 There are several varieties of flowering cactus plants collectively known as “Christmas cactus.” Actually, there are several species that bloom in autumn, winter and, even spring. The genus Schlumbergera has several species of multiple colors. Depending on the species and care, they can produce beautiful flowers of red, pink, white or yellow from November to April. The botanical details are widely available on the Internet, but if your main interest is care and maintenance a few tips will suffice for most species. Companies that grow Schlumbergera for commercial purposes take great pains to control lighting, watering, and temperature. Amateur gardeners generally will not require all of the elements of these plants. Good results can be had without the attention to detail of the professionals, but knowing a good source is a help if advice beyond that of usual houseplants. The flowering seasonal cactus needs plenty of watering and a proper feeding and warmth, but don’t place it on the hearth to be scorched by a fire. They respond well to indirect light while blooming. After blooming, maintain the plants light watering and feeding until the weather allows them to go outside. Be aware that hot summer sun can be the end of these plants. Indirect light in a shaded area or inside the home is best. As with most cactus plants, seasonal flowering cacti require less water than the usual houseplant. As autumn approaches, put them in a cooler, darker environment. They will begin to bloom more or less on time. After blooms have dropped, it’s pretty much over until next year. Now is the time to take cuttings for rooting. Propagate additional plants by cutting off a leaf with three or four segments. Four or five cuttings will make a nice plant in a couple of years and may bloom the very next season if given proper care. Let these segments dry out for 48 hours indoors and plant them about an inch deep in good quality potting medium. Repot these plants every two years. A healthy grown plant will be the pride of the holiday season offering perhaps a hundred delicate blooms. With proper care flowering seasonal cacti can last for years and grow quite large. The stems will hang, and in time an unattractive middle may detract from its appeal. Rather than destroy the plant, take larger cuttings of five or six segments and sell them when, they bloom. Seasonal flowering cactus plants are widely available, cheap, and easy to maintain and propagate. Their flowers are unmatched for color and elegance. A variety of colors can be purchased and displayed indoors from autumn to spring.